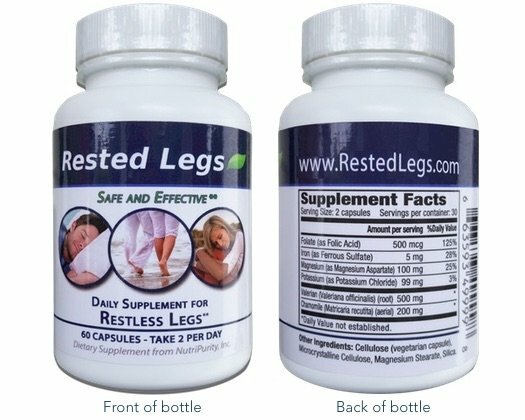 The cause of Restless Legs Syndrome (RLS) has baffled doctors since the neurological/sleep disorder was first identified in the late 17th Century. However, scientists and researchers conducting a clinical study in Germany that involved approximately 46,000 patients, have identified 13 previously unknown genetic risk variants which might be the keys to the development of the disease. According to study author Dr. Barbara Schormair of the Institute of Neurogenomics at the Helmholtz Zentrum München, the researchers have studied the genetics of RLS for more than a decade. “We are convinced that the newly discovered risk loci will contribute substantially to our understanding of the causal biology of the disease,” Dr. Schormair said. Study leader Juliane Winkelmann, of the Institute of Neurogenomics, cautions that the study has not revealed the cause of RLS. “This [research] suggests that aberrations in certain congenital features of the nervous system only become apparent much later in the form of restless legs syndrome,” Winkelmann said. “Armed with a better understanding of the causes, we can start to think about appropriate treatments. Our genetic study has taken us a big step forward in finding new and better treatment options for our patients,” Winkelmann said. In the largest study of its kind, an international team of researchers compared the genetic data from more than 15,000 patients with 95,000 patients from the general population. The study identifies 13 new genetic risk variants among the total of 19 risk variants present, several of which have been linked to the development of nerve cells. After the data were compared, the findings were replicated in 31,000 patients and a control of an additional 287,000 healthy patients. The findings support the hypothesis that the origins of RLS may go back to the developmental stages within the womb and may also be linked with impaired nerve growth that occurs later in life. Researchers report that the study indicates that the thalidomide and similar drugs are potential treatment options for RLS symptoms. They warn that rigorous clinical studies must be conducted on these potential medications to determine their effectiveness and assess their side-effects before they can be used to treat RLS. Thalidomide is used to treat certain cancers and may cause birth defects. The study does not prove that the genetic risk variants are the cause of RLS.